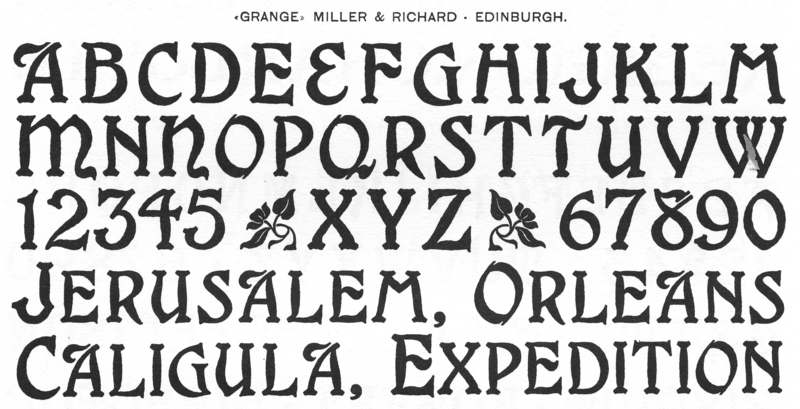 Cast by Miller & Richard in two widths around 1900. Alternates for ‘EMNT’. No lowercase. Digitizations by Richard W. Mueller (1993, used for sample) and Dieter Steffmann (1999, poor contours, with added lowercase and shadow variant). Millrich Grange NF (Nick’s Fonts, 2015) is another interpretation.